Corey Graham 2.0 Entertainment Blog: This Friday Night The Lime Is 1st & 2nd Street - I Celebrate Another Year Of Life! This Friday Night The Lime Is 1st & 2nd Street - I Celebrate Another Year Of Life! This year I wanted to keep my birthday celebrations open to possibility and variety. And also to make it as stress free as possible. 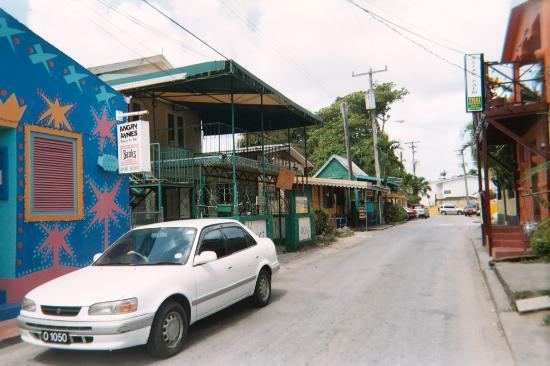 The Lime is on 1st & 2nd Street Holetown! There are a variety of different bars to hit and lots of "street" to lime on. Now let me quickly make the point about liming on the street. you get the picture .. of course for those of you who don't drink you can find something to tickles you fancy to come and share. Come out to have fun, and lime after all Friday night and after a long week which I hope was productive, you deserve to have fun!!! I just happen to be celebrating my birthday that night and trust me I plan to have fun, not matter what! Who is in invited and what is the dress code? Well its an open street.make your own style! 8 PM Until !!!!!!!!!!!!!!!!!!!!!!!!!!!!! then to wherever the action is! Who is Corey Graham 2.0? - for more on this google "Corey Graham 2.0" and see what you find? Or add your comments to this post! I say he is a man that wants to celebrate another year of life! I encourage all September Borns to come for the lime! See you on Frideeeee Night!